Wild Moon Sisters lodge is a lodge I birthed for my second daughter and I co facilitate this lodge with 2 other women, Amber Bates and Michelle Dovey. We are a circle of 11 women and girls and we have a core group who form the strong container to hold the lodge.. The Wild moon sisters are around the girl-woman/mid-girl threshold of the life spiral which comes from the work of Gail Burkett. I call it the map of womanhood. They are ages 9, 10 and 11. The girl-woman threshold comes before the first blood threshold. Together the core group are designing a rites of passage ceremony to help them cross over this threshold. Ideally this should be community led. But the work of restoring our community lodges takes time and the women have to come to this place and the ‘open centre’ in their own time. So with a core group committed to creating the strong container we are making a start. The rest of the women will hold the space with us in other ways on the day. I have facilitated these rites of passage before a few times for other girls at this threshold, and have used the medicine I was gifted in a journey. I said a prayer for how to create a ceremony for these young girl women and dreamt with my guides. Heron came to me teaching me her medicine and her path that she shares with the river. I live in my truck and at the time I was parked up with my family on the shores of an estuary. Heron took me along the river and showed me the ebb and flow of the tides. Perfect! as this is the stage that the girls are at, this is the awakening that occurs at this threshold, the awakening of their cyclic natures and the ebb and flow of their inner rhythms! I was shown that the girls needed to separate, to have a challenge, and to be welcome back by the women. I was gifted a story to tell the girls about a girl called little moon which was to be told to them on completion of the challenge, along with a ceremony and lullaby from the river to sing to them. They made heron masks and were blindfolded…The women sang and drummed them to the house of the women were they were witnessed in all their beauty. Sooo beautiful and all the girls I have done this with love it! This time we are feeling to do something new, but it’s a secret until after the day! 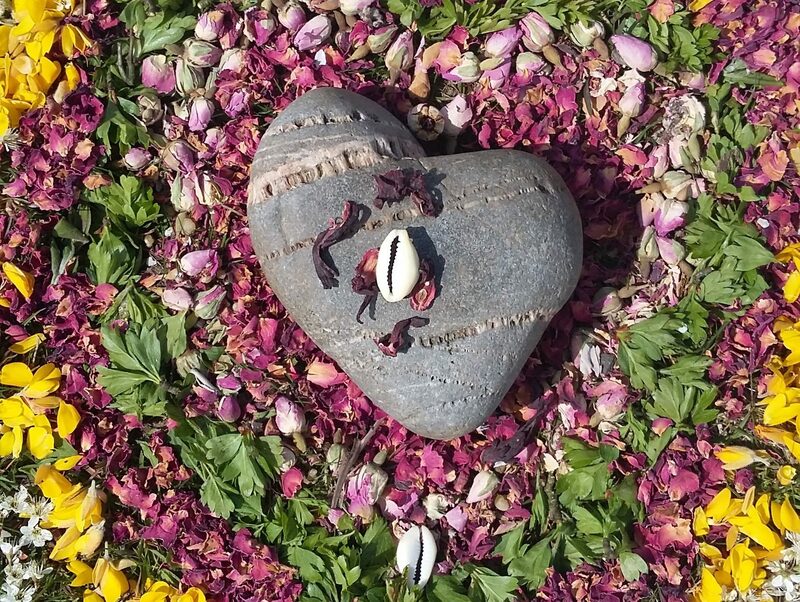 Over the last few Wild Moon sisters lodge the women have been prepared by Amber Bates and Michelle for the rites of passage by looking at their own ebb and flow and also by connecting to their inner girl woman. The girls have been prepared by me by playing certain games and nature connection exercises,by making something they will need to wear on the day and by sharing in circle about the ebb and flow and what will be expected of them on the day. We are all so looking forward to it!